Online applications are invited from Staff Nurses working under National Health Mission, Assam or any other health program under Health & Family Welfare, Govt. 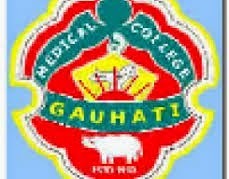 of Assam for 50 posts of Staff Nurses at Cancer Hospital, Gauhati Medical College and Hospital, under the Directorate of Medical Education, Assam [Health-B]. Age limit: 18 to 43 years as on 01/01/2017. Last Date to apply: 21/01/2017. Educational Qualification: Must have passed GNM course from a Govt. recognized Institute. Must have registered with the Assam Nurses’, Midwives’, and health Visitors council. Must have working experience under National Health Mission, Assam or any other Health program under Health & Family Welfare Department, Assam. Candidates having a higher qualification like M.Sc. (Nursing), Specialized certified Training on ICU, Anesthesia, etc. will be given preference. How to apply: Candidates have to apply online in NHM, Assam website www.nrhmassam.in within 21/01/2017.